A few years back, I awoke on Mother’s Day to… nothing. That’s right. Not. one. thing. No card, no flowers, no special hugs. I waited an hour or so, expecting that I was going to be given a really big surprise. And I was – the surprise being that everyone had forgotten. Granted, we were away for the weekend, but by away I mean Alton Towers. Hardly so remote that the Western calendar no longer applied. Trying to find something special to do last minute was such a stress that we just came home, with me in a terribly foul mood. As you can tell, I’m still not quite over it. In order to avoid other mothers being similarly disappointed, I have a) just reminded you Mother’s Day is coming up; and b) hand picked the best museums to whisk mum off to on March 26. Cake, culture and your company = a winning combination. From free entry to craft and afternoon tea, I’m sure that choosing any of these will make the mother in your life feel special! Top tip 1: book now to avoid disappointment. It’ll only take a minute, and booking is essential for many of these special events. Top tip 2: If you’re a mum who really wants to do one of these, share this post to your Facebook wall and tag your partner/child/whoever you want to take you. Or share to their wall. Repeatedly. Subtle hints rarely work. Mums – enjoy your day! Say thank you in spectacular surroundings at the V&A – the first ever purpose-built museum cafe continues to impress with its Victorian tiling, stained glass and wallpaper. As well as having daily hot specials, freshly baked cake and scones, salads and sandwiches, hot drinks, wines and beers, they win extra points for serving child sized portions. For an extra special treat, book the Victorian Afternoon Tea, an authentic menu of sweets and savouries served from 1859 to 1901 (£30 per person / £35 per person with glass of Prosecco). The cafe is turn up; booking is essential for afternoon tea. Don’t miss the fascinating exhibition Undressed: A Brief History of Underwear. The Holst Museum is both birthplace to the famous composer, and a fascinating insight into the workings of the Victorian home. Mums get in FREE on Saturday 25th March and they’ll be powering up the Victorian coal-fire range to make authentic drop scones (entrance £5 adults / £2 children). Some of our most enjoyable museum visits have included submarine tours, so I am super excited to see this event! Join submariners for a traditional two course Sunday Lunch this Mother’s Day onboard the historic WW2 era submarine HMS Alliance to support the Saving HMS Alliance Appeal. (£19 per person / £75 for a family of five, including a personal tour of HMS Alliance). *Insert hidden depths pun here*. Liverpool Museums have got this one covered – check out this excellent blog post, bursting with Mother’s Day suggestions. Here’s one for history and science lovers. 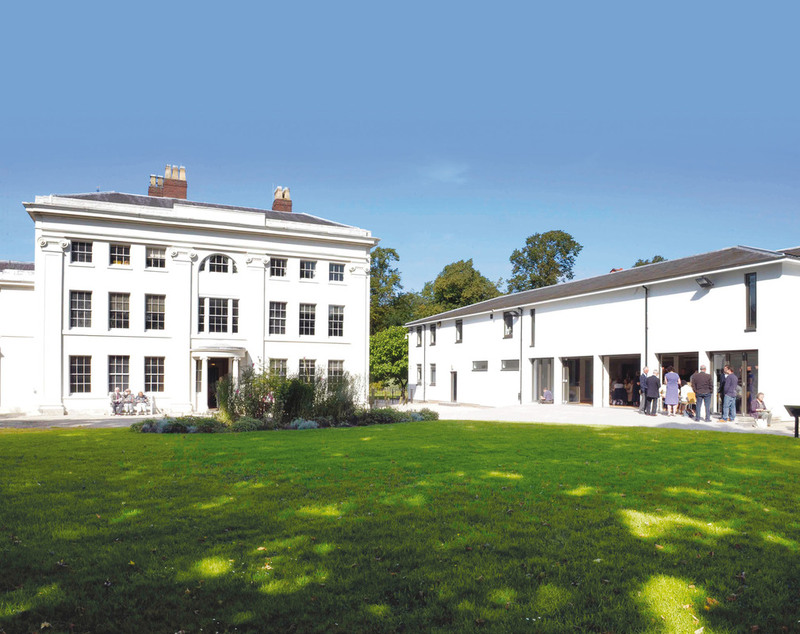 Enjoy the highly-rated tour of Soho House, elegant home of the industrialist and entrepreneur Matthew Boulton, followed by afternoon tea (£20 per person). Or for something rather different – Coffin Works are offering free entry to mothers! Book a place on the excellent guided tours of the Newman Brothers factory, producers of some of the world’s finest coffin furniture, including the fittings for the funerals of Joseph Chamberlain, Winston Churchill – and the Queen Mother (entrance £6 adults / £4 children / under fives free). Treat your mum to a special day at Gressenhall Farm and Workshop. Discover fascinating floral objects and the Victorian ‘language of flowers’, then make tissue-paper flowers or a beautiful gift in Art Attack! Plus mums get a free cream tea in the cafe. We visited last year and enjoyed greatly the exhibition about the workhouse, the animals, and the fantastic adventure playground – it’s definitely suitable for families of all ages (entrance £10.75 adults / £8.55 children / under fours free). The Rooftop Restaurant at the Ashmolean is offering a free glass of Prosecco to every mum who dines at Rooftop on March 26. With stunning views of the spires of Oxford from their rooftop terrace, they source local produce to create contemporary European dishes. Bubbles AND half a million years of art and archaeology? Mum will be impressed! Avebury Manor is a sixteenth century historic house with a difference – here you can sit on the furniture, lie on the beds and even play snooker in the Billiard Room! Enjoy their traditional Mother’s Day afternoon tea in the old library and tea-room, complete with books and mismatched china. So good to know young kids are actively encouraged to explore! (Afternoon tea £20 per adult / £10 per child). Avoncroft Museum open air museum, with buildings from windmills to prefabs, makes a great day out for all the family. On Mother’s Day there’s free entry for mums and traditional crafts to try. Pre-book for their afternoon tea. Combine a two course lunch and flower demonstration with an unforgettable underground mine tour at the National Coal Mining Museum. My. perfect. day. (Lunch £17.50 per person / Children under 12 £8.00. Underground tour £3 per person, not suitable for under fives). Live piano music and a pink rosebud for every mother help make the afternoon tea at the Potteries Museum & Art Gallery extra special. With a Spitfire, art and an incredible collection of Staffordshire ceramics, there’s certainly plenty for mum and kids in the museum too (afternoon tea £9.50 per person). Mum’s go free on Mother’s Day at the National Museum of Rural Life – if they have children under 16, at least. Escape to the countryside for the day to explore this 1950s working farm and award-winning museum (entrance £7 adult / £4 child / under 5 free). Enjoy afternoon tea in the stunning 18th century Assembly Room at Low Parks Museum Dressing up and hands-on interactives throughout the gallery make this museum enjoyable for families with younger children. (Afternoon tea £12.90 adults / £6.50 children, including craft activity). It’s great to see a hands on workshop that mums can do with younger children. In Making Soap With Mum at Swansea’s National Waterfront Museum, you can find out about the history and process of making soap, then try your hand at producing your own luxury bar. It’s also a brilliant museum all about the world’s first industrial nation – yep, Wales (entrance and workshop free). This is adorable! My mom and I bond over our love for museums. She’s a huge reason why I’ve gone into the museum field of study. I’m moving to Germany next month so if she comes out to see me, I may just have to take her to some of these for the big day! A great list and excellent points about each institution. Thanks, great list. I’ve forwarded it to my bro who lives in Hampshire as he might need ideas! Am intrigued by the V&A exh, so much to see in London, hard to know what to see first!